The third step in our iCompetency framework is to accelerate learning transfer. 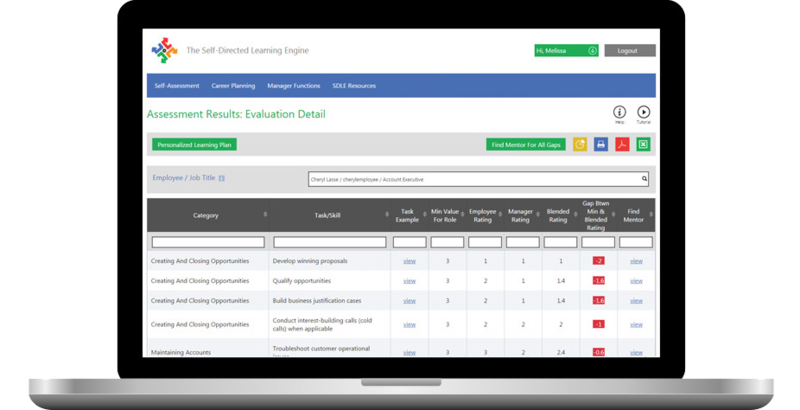 With our Self-Directed Learning Engine™ (SDLE) skill gaps are closed because learning is relevant and self-directed. Employees own their gaps. They are engaged. The link to strategy and growth becomes clear, driving purpose. Learning works. You retain the best. Technology facilitates scale. Because you give each employee a voice in what they need and a choice in how they get it. 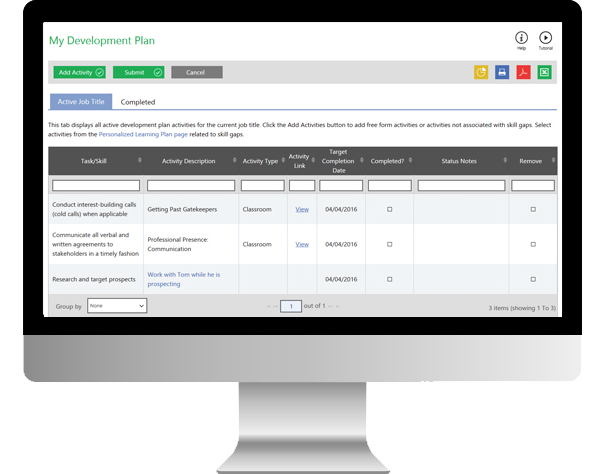 You give them a detailed, personalized plan to achieve mastery and success in their work. Both for the job they have or the job they want. You empower them with the autonomy to work their personal plan and develop at their own pace. You create a personalized roadmap in minutes, not months. You deliver relevancy to their job, their career, and their aspirations. When employees become aware of relevant skill gaps, they are motivated to take action. They are presented immediately with personalized learning they believe will close gaps, and they buy in. Your employees engage with activities that have the best chance of learning transfer and changing behavior. According to Gallup, organizations with a higher rate of engaged employees have 3.9 times the earnings per share growth rate compared to organizations with lower engagement in their industry. Without personalized learning, you are at risk. You don’t close skill gaps fast enough. You don’t acquire the learning agility you need to win faster than your competitors. You lose key employees. Lack of career opportunities is often why employees leave. Attract and retain high-value employees by allowing them to own their development... identifying and closing skill gaps for the job they have or the job they want next. Read white paper on why employees taking charge of their learning is good for you. Our iCompetency framework makes personalized learning as easy as 3 simple steps. You just completed step 3 of iCompetency. Congratulations!